As the leaves begin to change and the scariest holiday of the year draws near, remember one important rule: not all Halloween decorations need to be black and orange! 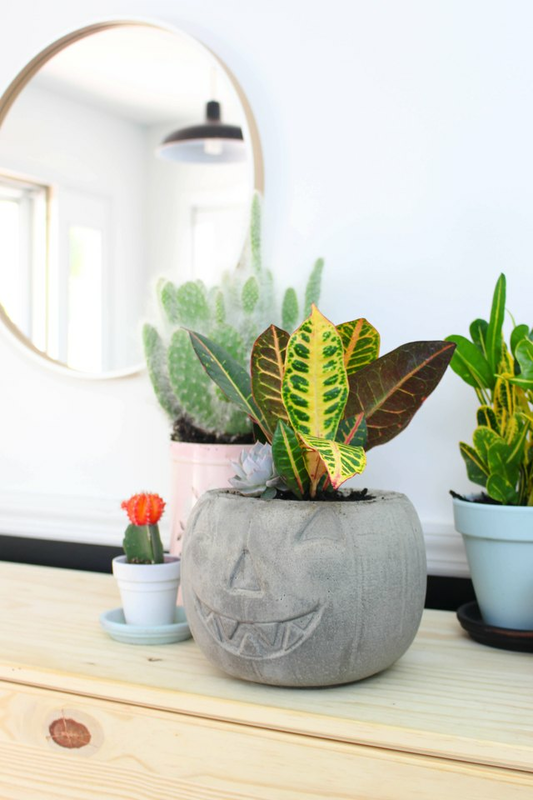 Get creative with the classic jack-o'-lantern and make this modern pumpkin planter instead. 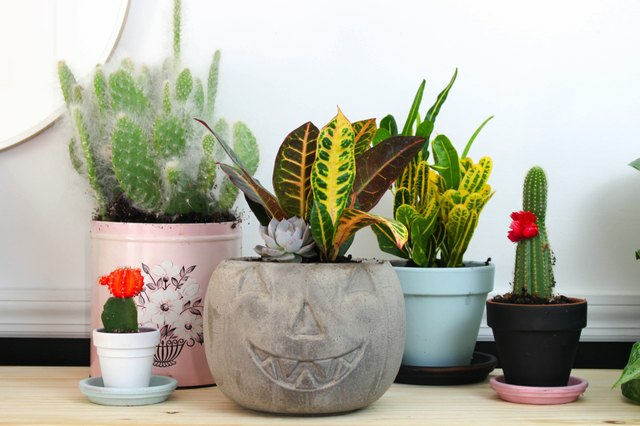 By filling a ubiquitous pumpkin candy bucket with cement mix and a plastic container — and then waiting for the mixture to dry — you can create a home for your favorite plants that gives a subtle nod to the season. It's just the right amount of Halloween nostalgia and chic style. 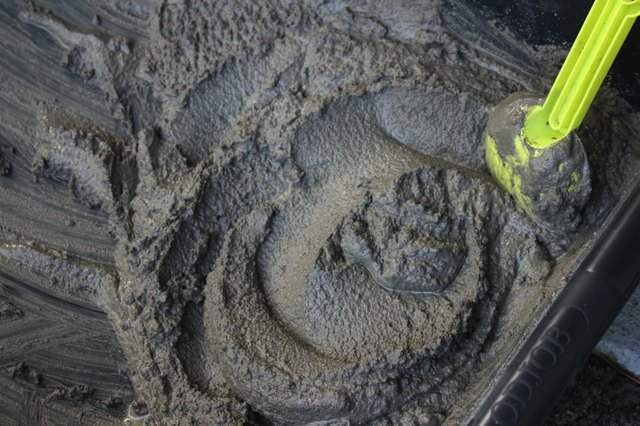 Scoop a generous amount of concrete powder into your heavy mixing bin. Next, gradually add water and continue to stir until the consistency resembles soft serve ice cream. 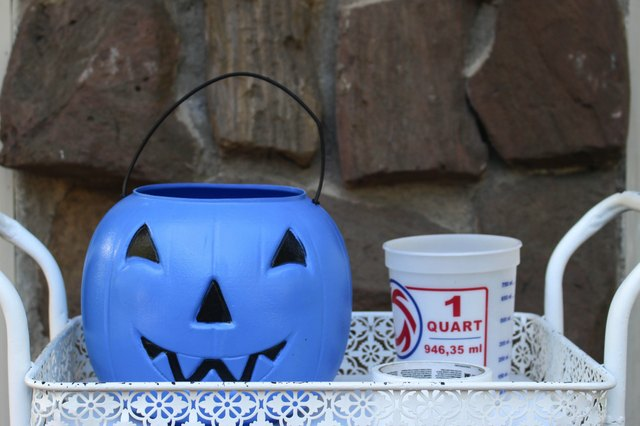 These pumpkin candy buckets make the perfect jack-o'-lantern mold: they are easy to find, don't cost much and can be cut away at the end of this project. Start scooping the readied cement mix directly into the pumpkin bucket until it is filled about 75 percent of the way. To ensure fewer blemishes, tap all sides of the bucket several times to reduce air bubbles. 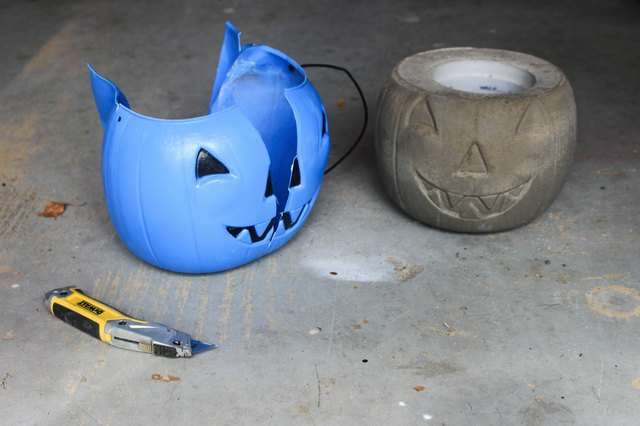 You can also pick up the pumpkin bucket and gently tap it on the ground to help settle the cement. 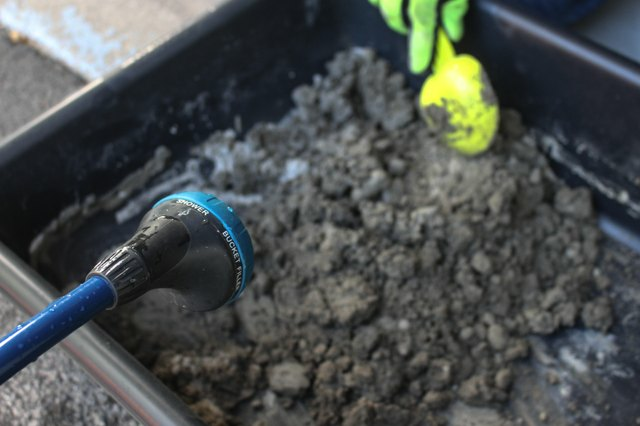 Slowly push your one-quart container into the cement until the rim of the bucket is flush with the cement. If you were to let go at this point, the inner bucket would slowly push up and pop out of the pumpkin mold. 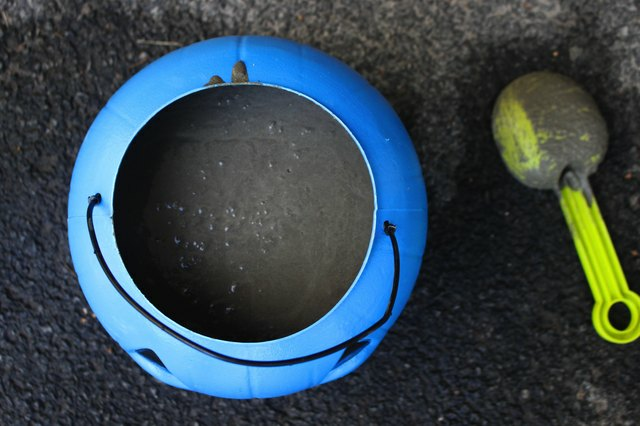 To prevent this from happening, place a weight or heavy object into the inner bucket and secure it with a heavy tape. Let your pumpkin rest for at least 24 hours while the concrete sets. Now comes the fun part: use a cutting tool to tear the bucket away from the concrete planter. Be careful not to cut into the planter itself, as it can leave scrapes. 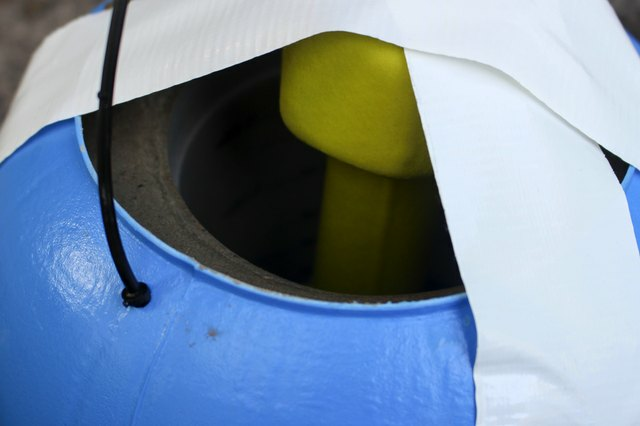 Repeat this step to remove the inner bucket as well. Add any plants that you would like! 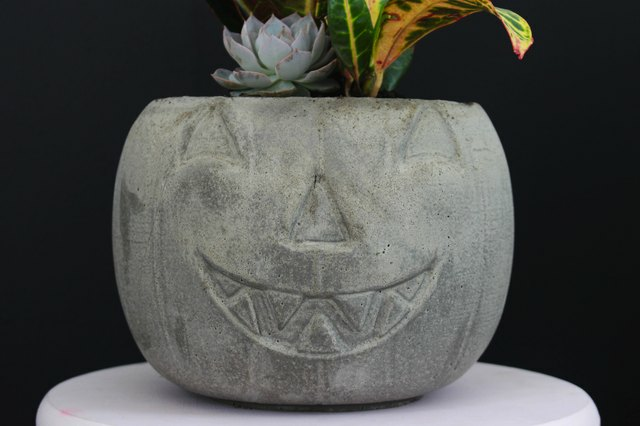 This planter would even make a beautiful vase for an indoor centerpiece, or you can keep it outside as a subtle alternative to your spookier decor.